Christmas without bursting! Is it possible to prepare a Christmas meal, joyful and elegant, following the most modern rules of eating well, with elegant but light and low fat dishes? Yes, we can do it! But how? 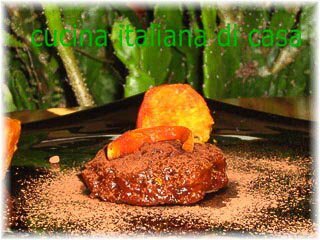 At first try to prefer spices instead of fats, take care of colors and combinations and you will obtain a wonderful Christmas dinner, elegant and with a reasonable quantity of calories. 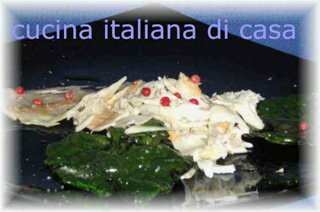 Of course we should avoid the traditional recipes, which are not very dietetic...however we selected ingredients traditionally used for Christmas, due to their symbolic value. What are the ingredients? 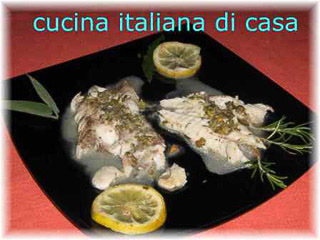 At first the fish, as rich in proteins and naturally low in calories, but also as suitable for an important dinner. 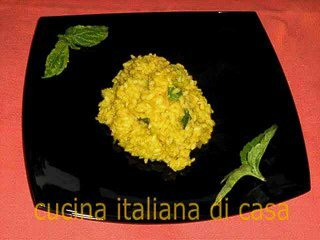 Always thinking to an elegant dinner, where the presentations are important, we have the only dish with more calories, the risotto with saffron, perfumed and, due to its yellow color, remembering the color of the gold. 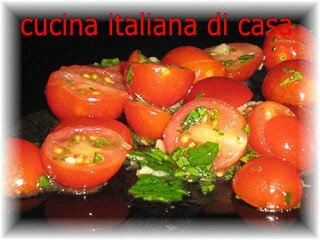 For this reason it is suitable for Christmas, like the red of the tomato salad. We have also included the cocoa, traditional for Christmas, combined with Indian figs, low calorie and colored fruits. 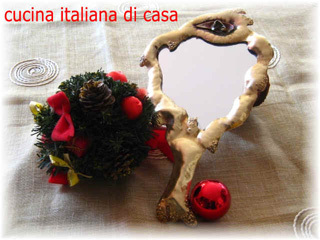 In the table here below you can find all our recipes with pictures for cooking a light menu for Christmas Dinner. 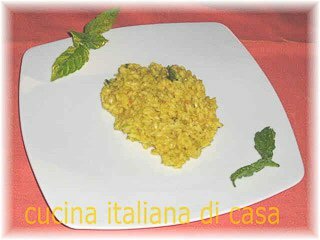 All the recipes are of course for a menu Italian style, with starter, first course, main course and dessert.